This stunning 18K Yellow Gold A. Jaffe bridal set will be the perfect match for your bride. She'll be glowing in this A. Jaffe Engagement ring and matching Wedding Band, surrounded by a total of 56 round diamonds (.48 TDW) set in the set in the Semi-Mount, and 61 rounds (.49 TDW) set in the band (Center stone sold separately). 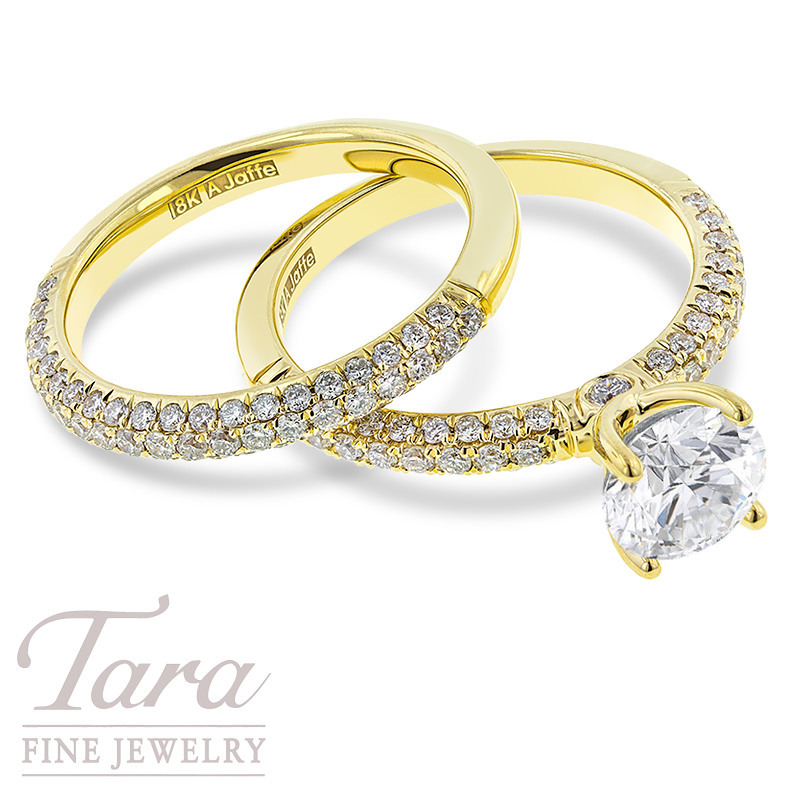 Come to Tara Fine Jewelry Company where you'll find a wide assortment of diamond wedding ring settings by A. Jaffe. As Atlanta's premier fine jeweler and designated dealer for Rolex, Omega and Breitling timepieces, Tara Fine Jewelry Company is located near the Mall of Georgia in Buford. The wonderful showroom showcases top designers and has delivered Metro Atlanta's renowned personalized customer service and exceptional selection for over 28 years.